No Boundaries Maryville participants graduated from the Spring 2014 training group on Sunday, April 12th at the Spring Sprint 5k. 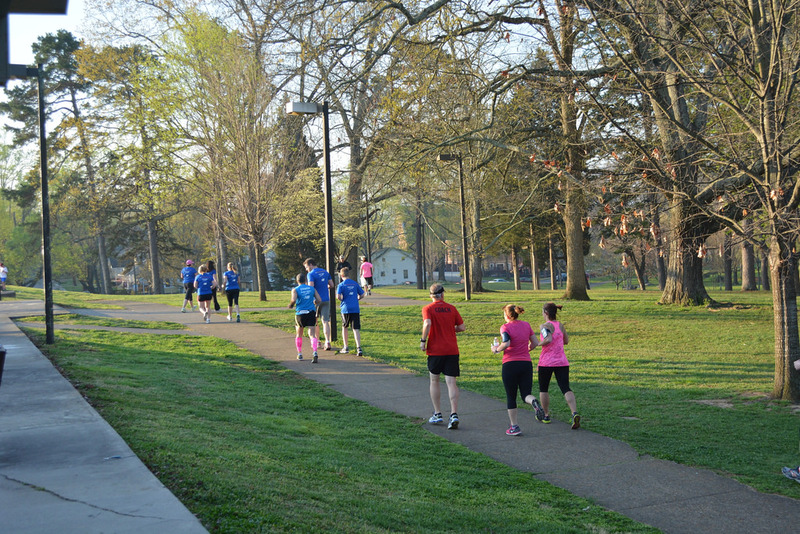 It was a gorgeous spring day, we could not have picked a better weekend for a graduation race. 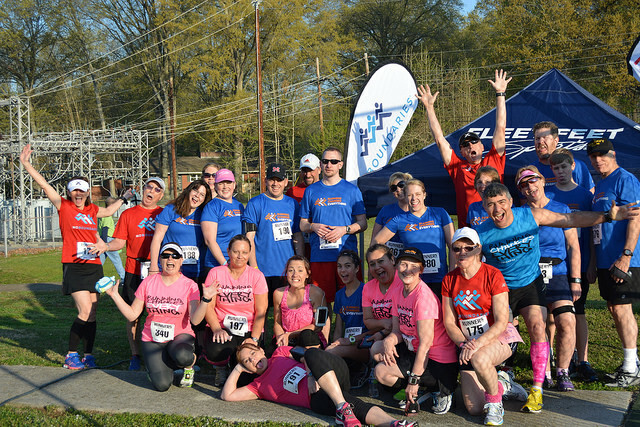 Joining the Fleet Feet Knoxville No Bo's was TEAM FAITH, a group inspired by Faith Russel, an 8 year old girl from Maryville born with spina bifida. 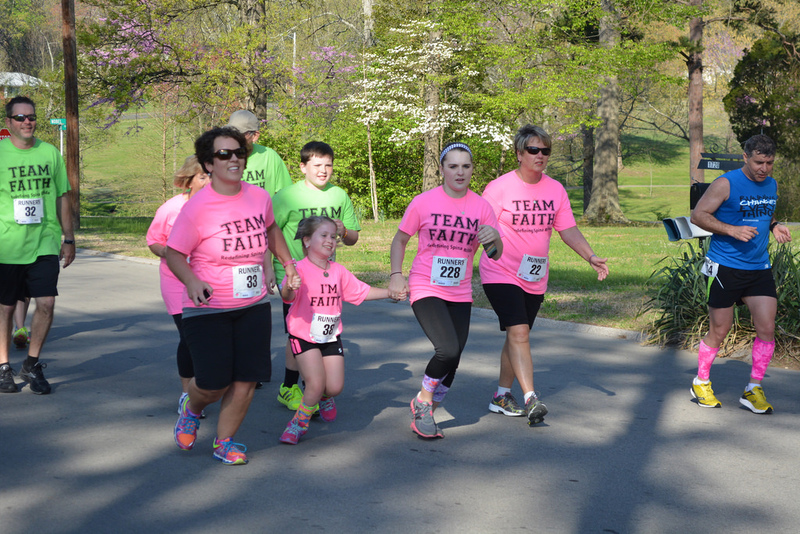 Despite predictions that she would never be able to walk, Faith realized her dream of completing a 5k at this year's Spring Sprint 5k, and has plans for many more, including her very own TEAM FAITH 5k coming up in September. Faith's mom, Robin says, "She said she wanted to walk/run 5K races to show people that God made her walk, and to let everyone know that whatever they may face they can always finish a race." To show support for TEAM FAITH, the Fleet Feet crew wore hot pink, Faith's favorite color. Faith loved the support, and according to her mom, "Faith thinks Shahin is the greatest person ever because he finished the race with her and even wore hot pink socks!" To follow Faith's journey, visit the Team Faith Facebook page.